Curtis Jones believes he has improved significantly since making the move from Liverpool’s Academy to Melwood full-time, which led to him starting in the FA Cup defeat to Wolves last month. 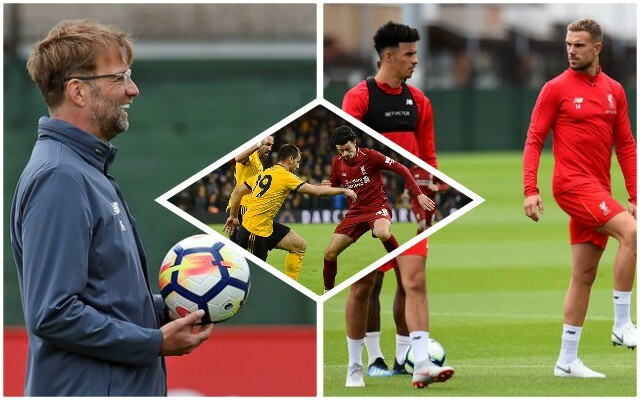 The attacking midfielder is one of the brightest prospects coming through the Reds’ ranks at the moment, and he was full of praise for manager Jurgen Klopp, who has a lot of belief in the skilful creative player. He told LiverpoolFC.com: “My understanding of the game, when to move the ball quick, when to dribble and the spaces I find myself in – they’re all definitely better than when I was playing in the U18s and even the U23s. The Scouser is aiming to make the next leap in his development by appearing for the first team at Anfield having made his senior bow away from home. It surely won’t be too long before he gets a chance on home soil – Jones has a big future ahead of him in the game. The last couple of seasons, the young players coming through have been unfortunate with cup draws, with the Reds getting the likes of Everton and Chelsea, but pre-season and next season’s domestic cup competitions will provide opportunities. At 17, there is plenty of time for Jones still to make it. He might even go out on loan next season, which could be the next natural step in his development.